As we all know by now the brilliant actor Robin Williams passed away last week. Today I am not hear to talk about how or why he died but how he lived. I myself live in Colorado where Robin shot to fame in his role as Mork from planet Ork in the sitcom Mork & Mindy which was based in Boulder,CO. 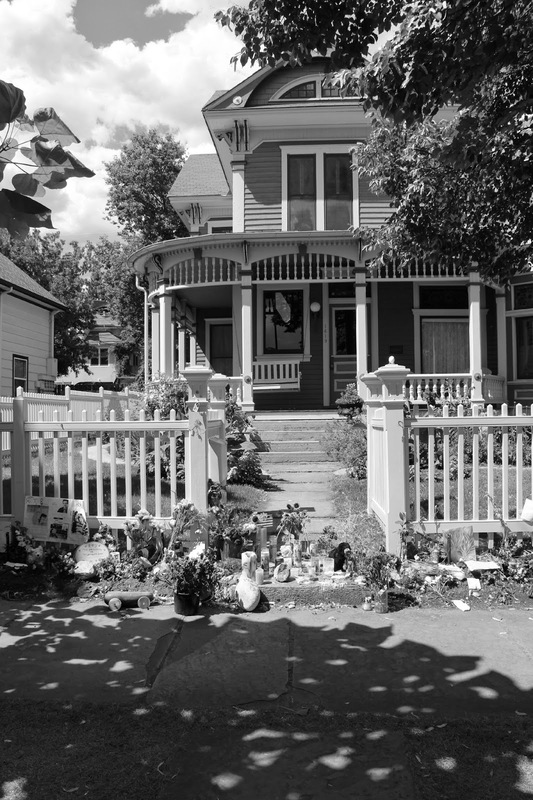 So yesterday afternoon I took a ride down to Boulder to visit the Mork & Mindy house. 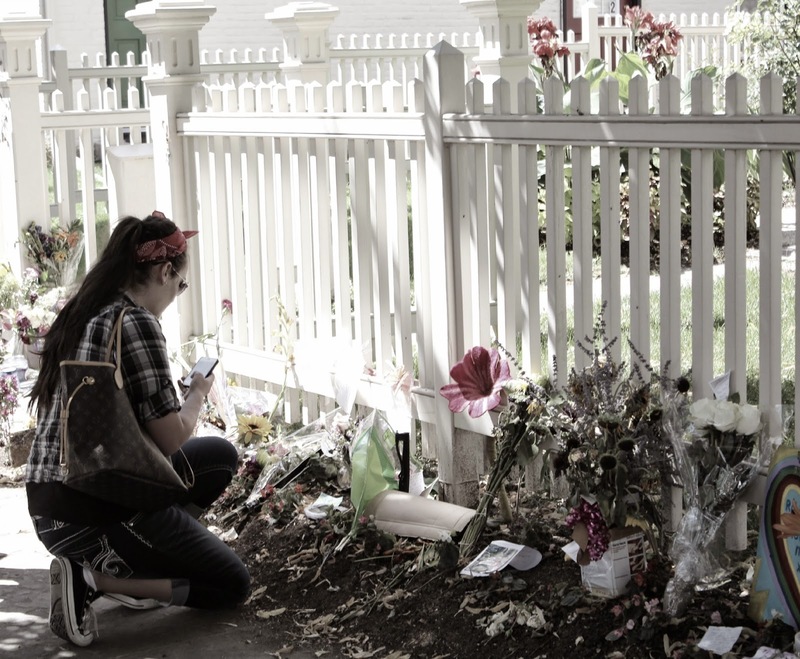 Over the past week since news broke of his passing fans have been making a makeshift memorial outside the home on 1619 Pine street. I had never stopped by the house before but am so very glad I did. When I arrived there was a lot of other people just arriving at the house. It was apparent at how much people loved this man, even though he was un-known in their personal lives they all still loved him so much. It was nice to all come together, both men and women of different ages, and backgrounds to say "Thank You" and Good bye. Now some of you maybe thinking to yourself "Why did his passing matter to you, you didn't know him?" and the answer to that is he was like my childhood best friend. Jumanji was my favorite film as a child I cannot tell you how many times I've watched that film. Even now as an adult he is still one of my favorites and one of the best comedic actors to have graced this earth. Funny just came so natural to him. He didn't even have to try, it just flowed from his veins. 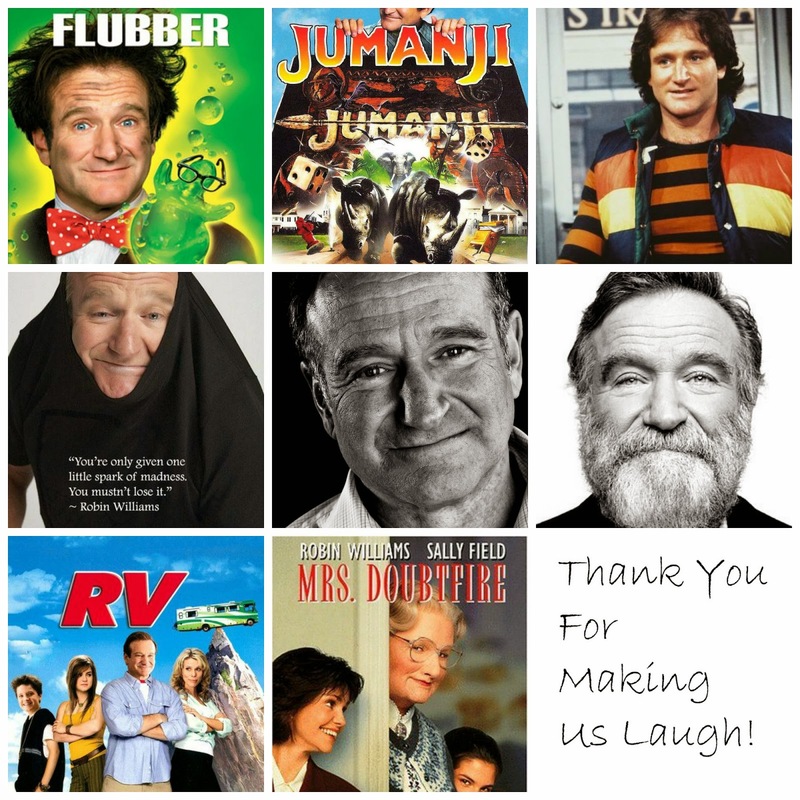 If I could tell Robin one thing it would be "Thank you", thank you for making me laugh my entire childhood into adulthood and thank you for bringing light to my day when I was sad. And if I could say one thing to Robin's family & children it would be "Thank you for sharing him". After I left I was asked by multiple people if it was sad and my answer was "No" it wasn't sad I said it was nice. It was nice to see him being remembered. I did notice one women crying but overall the feeling wasn't sad it was the feeling of love, compassion & reflections of memories. Robin was a son, father, & husband. But to his fans he was: a kind man, a supporter of our soldiers & endless laughter. Nobody will ever be the same as he was and he will never be forgotten. I hope he found laughter in heaven and his front for seat. RIP Robin Williams.